Hsipaw is also sometimes referred to as Thibaw and is a vibrant town which is located in Shan State in Myanmar. This means that it is the perfect place to come if you want to know more about Shan culture as there are a number of pretty artifacts dotted all over the city to help you do just that. As well as its historical and cultural significance, Hsipaw is known for its gorgeous scenery, especially as it is surrounded by hills which you can climb and look out over the sprawling countryside. 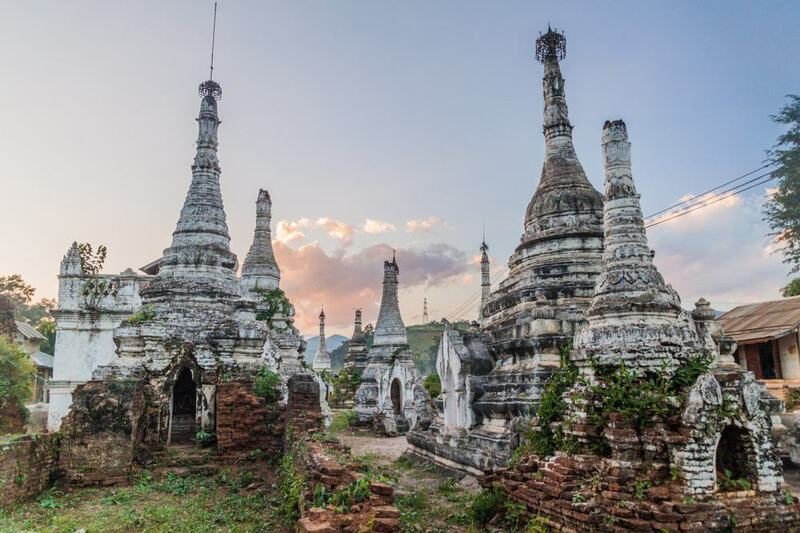 As you would also expect from a Burmese town, you will also find a number of Shan pagodas and temples here, and Hsipaw is also located on a river so you can take a boat trip and check out the scenery from the vantage point of the water. Another key reason to visit Hsipaw is that it is located on the railway line from Mandalay which is one of the most famous and apparently beautiful railways in the world. With that in mind, if you love traveling by train then don’t miss the chance to take the railway from Mandalay to Hsipaw. Nawng Kaw Gyi Lake is part of Nawng Kaw Village and is located around 40 kilometers away from Hsipaw and makes a great day trip if you want to get out of town. The lake is known for having a dainty temple in the center of it which is made of wood and you can walk across a rickety bridge to get to it. It is also surrounded by pretty hills which are dotted with pagodas and there is a monastery close by that you can also visit at the same time. Myauk Myo is said to be the oldest part of Hsipaw and often it can feel more like its own small village rather than a section of the town proper. You will find two gorgeous monasteries here called Madahya Monastery and Bamboo Buddha Monastery, both of which are made of teak. Another reason to come to Myauk Myo is to check out the brick stupas which are dotted around. These are often known by their nickname which is ‘Little Bagan’ which may be overstating it a little bit but they are very pretty nonetheless. Anyone looking for some gorgeous views across Hsipaw should come to Sunset Hill. Rather confusingly, Sunset Hill is also called Nine Buddha Hill and this is also the spot of the Thein Daung Pagoda. 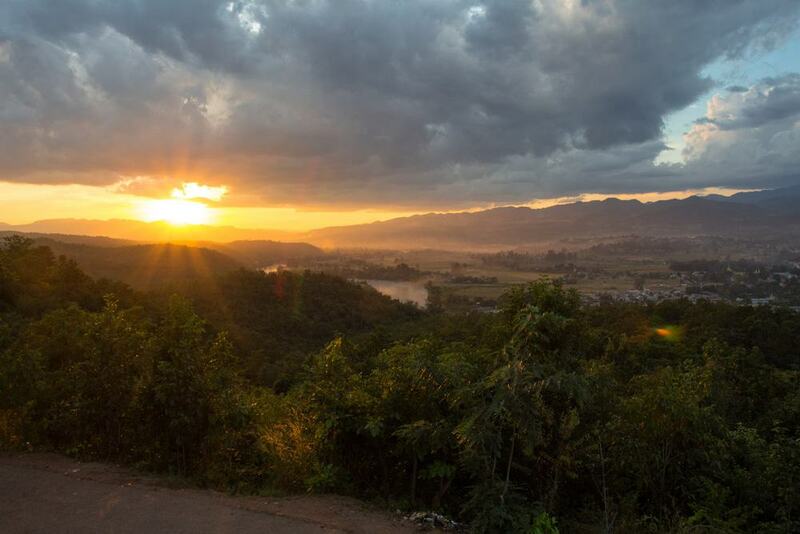 As the name suggests, the sunsets from the top of the hill are breathtaking so plan your trip accordingly so you can check out the all-natural light show across Hsipaw. 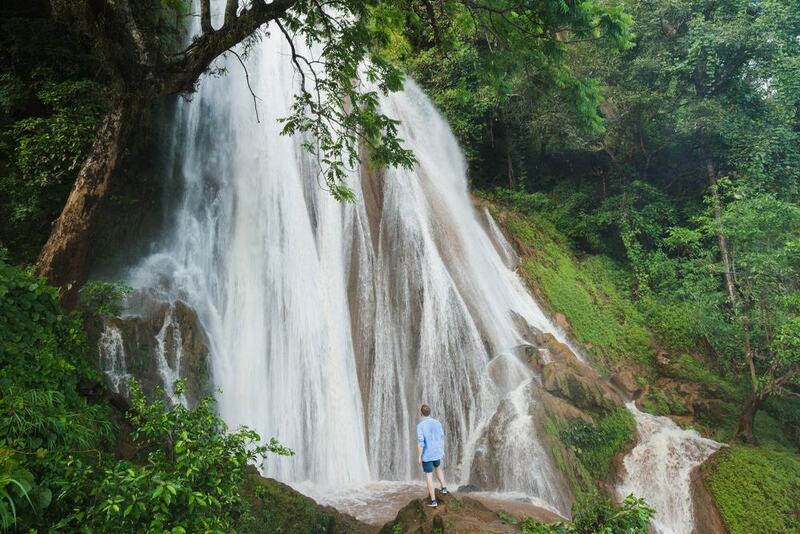 The Nam Hu Nwe Waterfall is located a few kilometers outside of Hsipaw and is another place to come if you want to explore the surrounding area. Many people don’t make it out to the falls although it is fairly easy to get to and you can even rent a bicycle and cycle here, or rent a scooter. The waterfall is very pretty and lies nestled in the jungle and there is a deep pool at the base where you can cool off after the walk to the cataract. 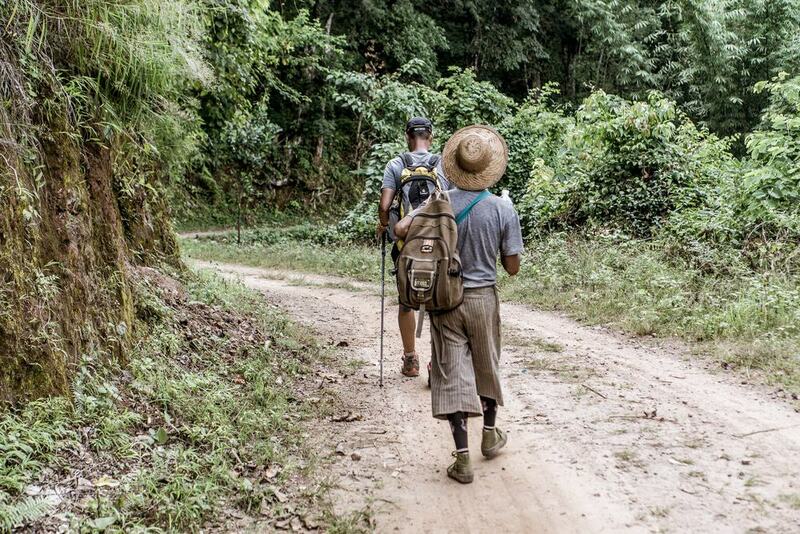 If you love hiking then Hsipaw is definitely the place for you. The main reason for this is that Hsipaw is located in a lush valley and it is easier to navigate than many other places where you need an experienced guide. There are a number of hikes that you can take here by yourself which will lead you past amazing hot springs, or past glittering waterfalls. Alternatively you can also choose to trek to traditional villages or along the main river. The hot springs in Hsipaw come from an underground well which produces hot water which is said by the locals to have medicinal properties. To get to the springs, which are on the road from ‘Little Bagan’, you can rent a bike and cycle, or get a motorbike taxi. The locals use the springs like a natural bathtub and it is not uncommon to see people washing in the springs. One thing to bear in mind is that you will need to dress modestly when you bathe. Bawgyo Paya is an important pilgrimage site for the Shan people, particulate in February and March when they celebrate Bawgyo Paya Pwe. This temple was built in 1995, making it one of the newer buildings in town, and it is designed in stepped polygons which are also gilded. There is also a vibrant dome over the structure which is apparently inlaid with rubies. The Central Market is distinct from the Produce Market, so make sure you don’t get confused about which one you want to visit. 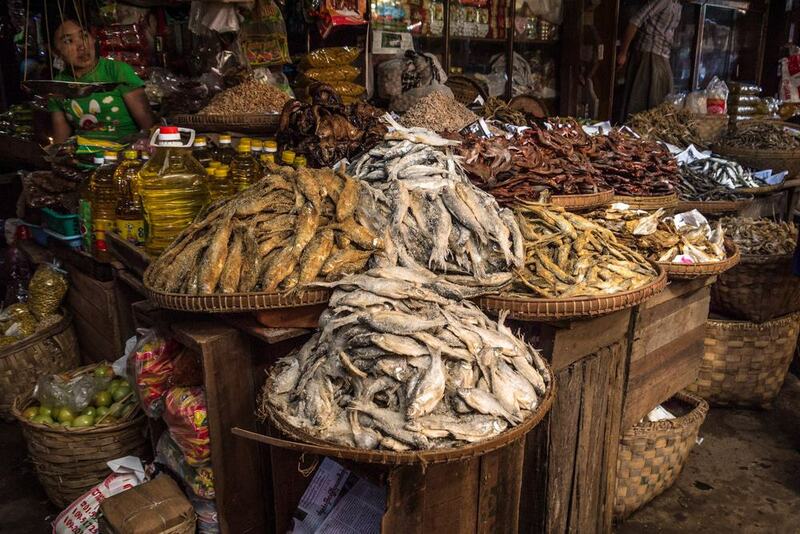 The Central Market is the main market in town that sells local fruits and vegetables from the region and this is the place to come if you want to stock up on traditional Burmese products like salted fish snacks. Make sure you come as early as possible however as many vendors go home in the early afternoon. If you want an authentic taste of the local food in Hsipaw then you need to come to what is arguably the most famous eatery in town. 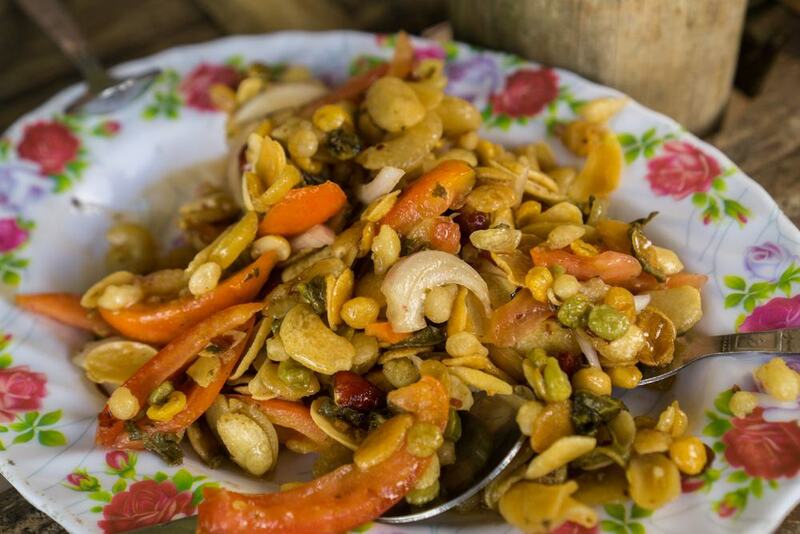 Here you will find amazing local curries that also come with typical Burmese side dishes like salads and pickles, and these are the main reason to come here. This is also more of a lunchtime place then anything as this is when the curries are made so arrive as early as possible to get the best bites. 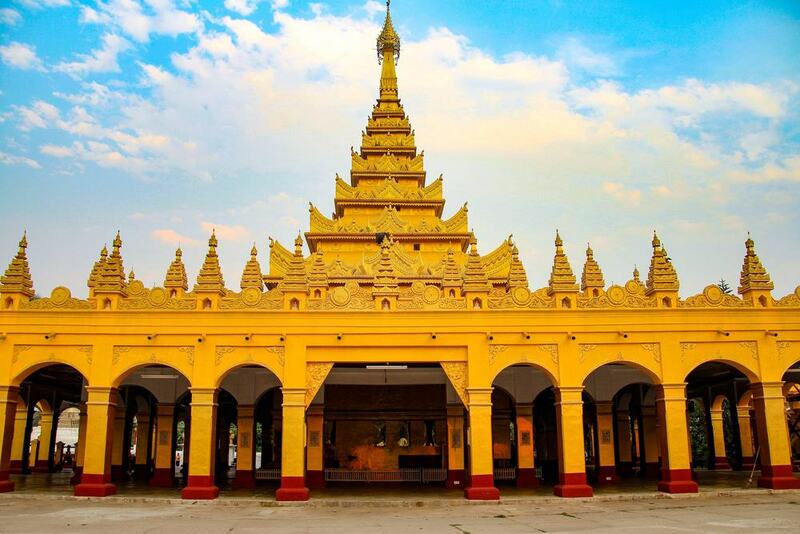 Mahamyatmuni Paya has the claim to fame of being the largest pagoda in town and you will find a huge image of the Buddha here which is said to have been modeled on the Mahamuni Buddha which is on display in Mandalay. Rather jarringly, the Buddha is famous for having a halo of neon lights illuminated over his head which creates a rather psychedelic effect. 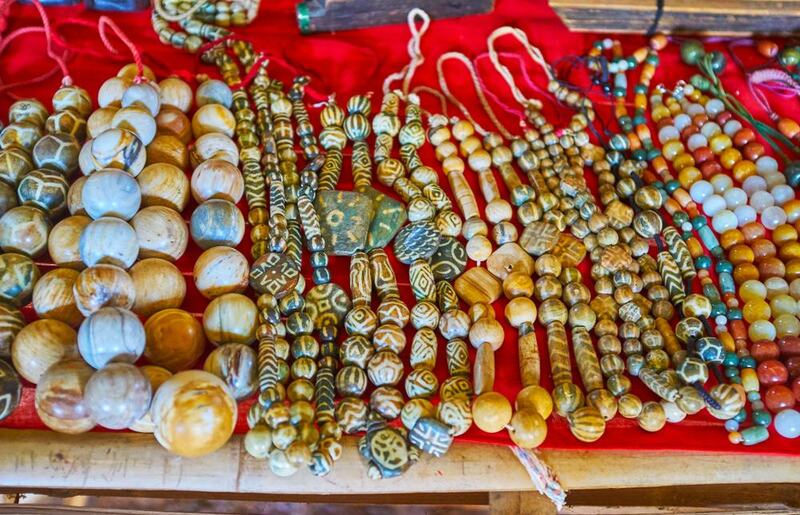 Hsipaw is said to have one of the best markets in Myanmar which is no mean feat. The reason for this is that villagers come down from the surrounding villages to sell their wares, so this is one of the best places to pick up local handicrafts. Just some of the pieces on offer include traditional textiles and jewelry, but be warned that the market is best visited as early as possible in the morning. Many of the villagers leave to go back home by around 7 o’clock in the morning so you need to get moving if you want to snag the best souvenirs. 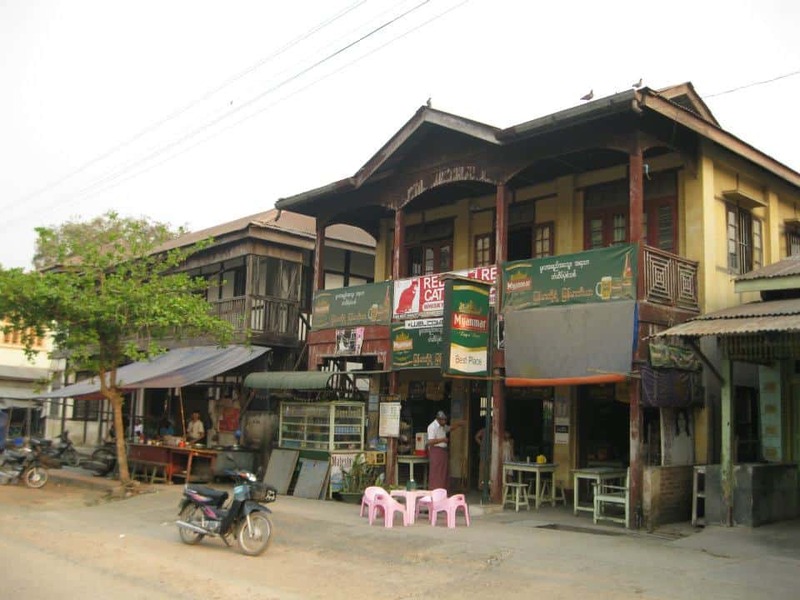 If you like traditional architecture then you mustn’t miss the chance to check out the godowns when you are in Hsipaw. You will know these when you see them as they take the form of traditional warehouses and are located on the road from the riverfront to the Central Market. The godowns date from the 19th century and are notable for their signature fronts which have four large columns each. Contrary to popular belief, and to their name, teahouses in Myanmar do not just serve tea. 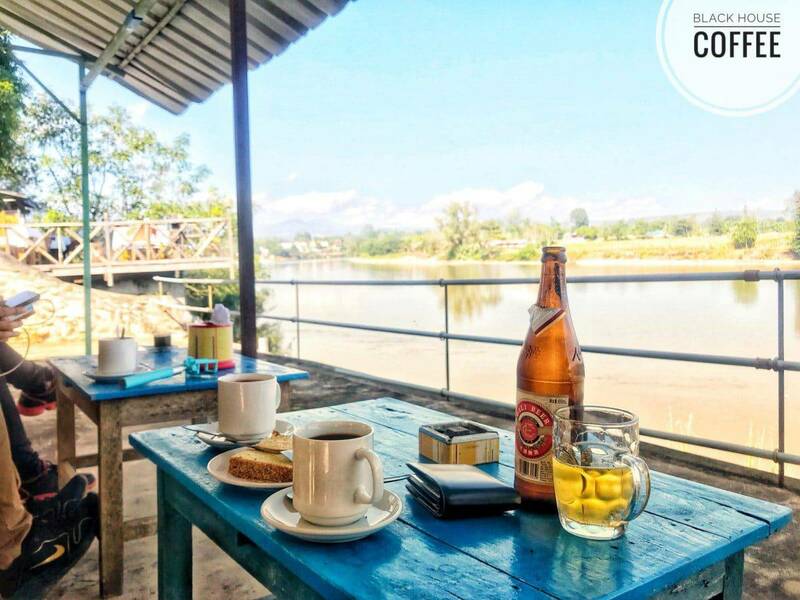 In Hsipaw they are also known for serving up local draft beer, and they are also usually one of the best places to come if you want to watch sports such as football matches. One of the most famous in town is called La Wun Aung which is said to never close, so it’s a good choice if you want a late night tipple. The Central Pagoda is pretty self explanatory and this is the main Buddhist temple which is located in the center of town. You will know that you have found it as it has a signature large golden stupa on the top which glitters in the afternoon sun. Note that this is one of the more popular temples in the city so you may want to visit early in the morning before the crowds arrive and when the sun is not too fierce. If you want to sup some coffee in style then you need to come to Black House Coffee Shop which is housed inside a shop house that is said to be 75 years old. The house is made in the traditional style from teak and it looks out over the river so you can take in the views from the main yard. The coffee served here is made from local Shan beans, so if you want a cup of the real thing then this is the best place to find it. Alternatively they also serve beer which you can sip as you look over the river at sunset.